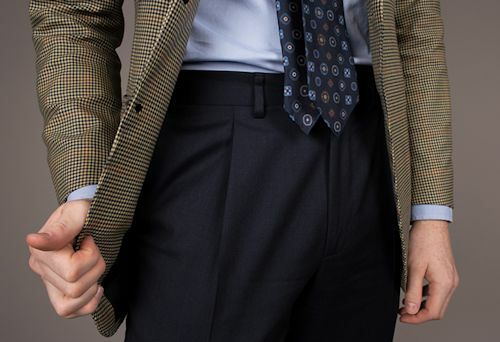 A year on from our in-depth report into the pleated trouser phenomenon, the appearance of folds on the front of our nation's trousers has gathered momentum. 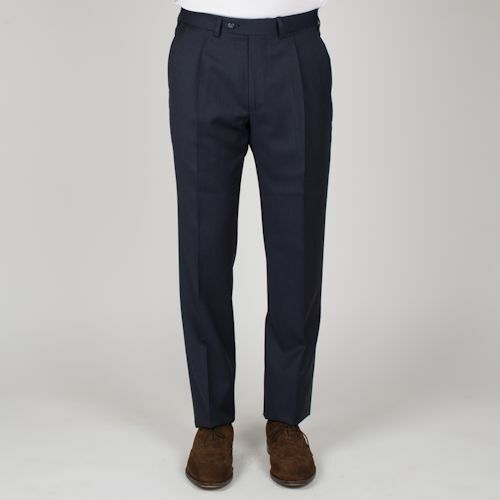 Witness the Alfred trouser from Berg & Berg you see here. Alfred is available from one of our favourite Scandinavian outfitters as a handsome pleated trouser in navy and dark grey woollen twill. What they are attempting with these Naples-made trousers is a commendable move away from the proliferation of uncomfortable low-rise, high-crotch trews that have been strangely popular for too long. The trousers have a higher rise and a wider thigh than other styles in the Berg & Berg trouser range — for which we are truly thankful. 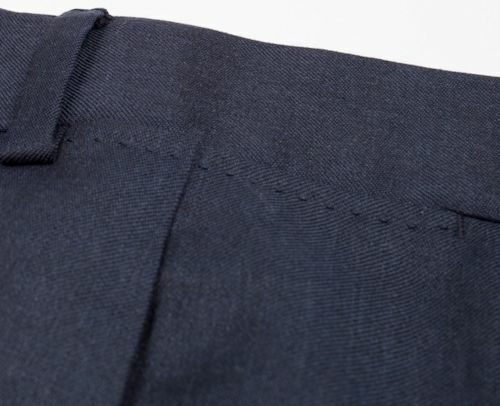 The trousers come unfinished at the hem, which got me thinking about alternatives that could be offered to the customer of ready-made trousers. I bought a pair of Tom Ford trousers recently, purely because the thickness and rigidity of the cotton twill used in their construction was like nothing I've ever witnessed — and I felt a challenge to see how they would 'break in'. Swiss-made, by the way. The reason I mention them is that they came unfinished at the hem, but also with belt hoops unattached in a bag. As the trousers have side-adjusters, I haven't added the belt hoops, but the rise is suitable for brace buttons. I may release a few pictures some time, but what a jolly good idea. I'm all for more choice. One day, perhaps, men will also wear jackets that aren't at least one size too small. Bring it on/back! Not a fan of heavy fabric pleated pants (e.g. chinos/cords), but for tailored trousers, pleats rule! 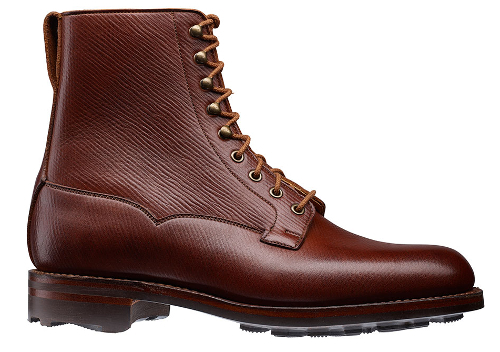 That and cuffed bottoms.